Multi-Platinum, GRAMMY® award-winning artist, DJ and producer Zedd and global superstar Katy Perry team up on the new single, “365,” which was released today (Interscope Records). The two wrote the song together, with Zedd producing. In tandem with the song’s release, Zedd and Katy shared the official music video for “365” today. Directed by Warren Fu (The Weeknd, Daft Punk) and conceptualized by Katy, it asks the question: could an AI learn to love? The video tells the poignant story of an android Katy Perry, who yearns to be human, as she attempts to make a genuine connection with Zedd. “365” is Zedd’s first single of 2019. The release comes after a massive 2018, which included teaming up with Shawn Mendes for the “Lost In Japan” remix, “Happy Now” with Elley Duhé, and his monster smash “The Middle” with Maren Morris and Grey. 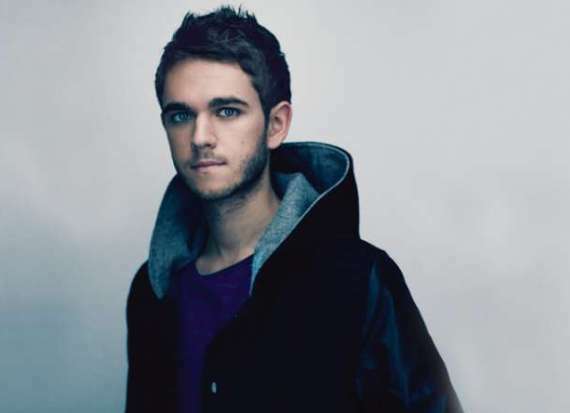 Zedd earned his second #1 at Top 40 Radio and three GRAMMY® nominations for “The Middle,” making him a five-time GRAMMY® nominee in addition to his 2014 win for Best Dance Recording. In April, Zedd will embark on his California Tour in April 2019 which includes Coachella, where he’ll play both weekends, as well as stops in Avila Beach, San Jose, and Santa Barbara. Multi-platinum, GRAMMY® award-winning artist/DJ/producer Zedd made his debut with Clarity after signing with Interscope in 2012 and has been breaking down barriers surrounding music genres ever since. Last fall, Zedd teamed up with Shawn Mendes for a remix of “Lost In Japan” from Shawn’s latest album. The remix is the follow up to Zedd’s 2018 singles, “Happy Now” with Elley Duhé and his monster hit, “The Middle” with Maren Morris and Grey. Zedd released “The Middle” in January 2018, which earned him his second #1 at Top 40 Radio. “The Middle” held the top spot at Top 40 Radio for seven weeks, was #1 at Hot AC Radio for five weeks, and spent 40 weeks on the Billboard Hot 100. Digitally, the song has amassed over 1 billion streams. In December, Zedd received three GRAMMY® nominations for “The Middle,” including nominations for Record Of The Year, Song Of The Year, and Pop Duo or Group Performance. The three nominations make Zedd a five-time GRAMMY® nominee. In 2017, Zedd released “Stay” with Alessia Cara, which held the #1 spot at Top 40 radio for six consecutive weeks and earned Zedd his second GRAMMY® nomination. In 2015, Zedd released True Colors, which debuted at No. 4 on the Billboard Top 200 Albums chart. Throughout his career, Zedd has worked with a diverse range of artists to create hits, including Hayley Williams on platinum hit “Stay The Night,” which racked up more than 400 million streams, and Selena Gomez on platinum track “I Want You To Know,” which spent four weeks at No. 1 on Billboard’s Hot Dance/Electronic Songs chart.